Let's start with some appetizers . . .
JoyFoodSunshine shows you how to create these savory, crunchy roasted chickpeas. Rachel from RachelCooks shares this amazing, creamy, classic dill dip that trades greek yogurt to create a low fat version. The Sweetest Occasion outlines a traditional antipasto skewer appetizer that is as beautiful, as it is tasty. 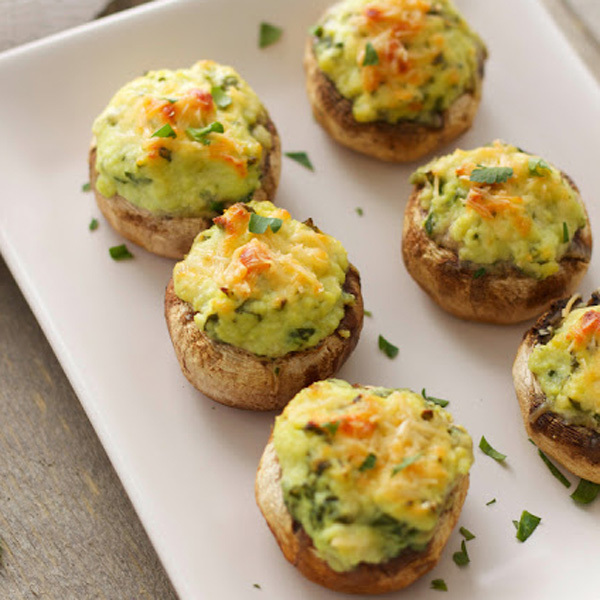 Chrissie at The Busy Baker shares her ricotta and spinach stuffed mushrooms that are always a crowd pleaser. 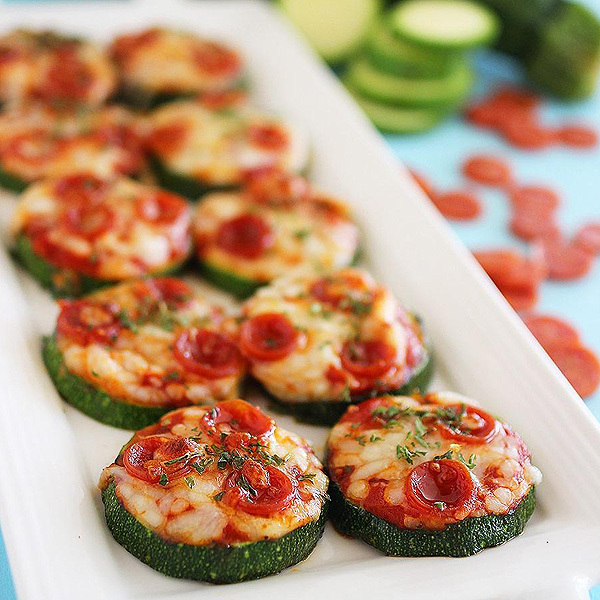 I know that our family will be enjoying these Zucchini Pizza Bites from The Comfort of Cooking. Tiffany from Creme de la Crumb offers these Baked Zucchini Fries with a Spicy Mayo. Ok, let's bring on the entrees and sides . . .
First up, is an easy replacement to the buffalo wings. I've tried these and can tell you that my cauliflower hating husband LOVES them! Marion at Life Tastes Good absolutely NAILED it with this recipe for Baked Buffalo Cauliflower Bites. 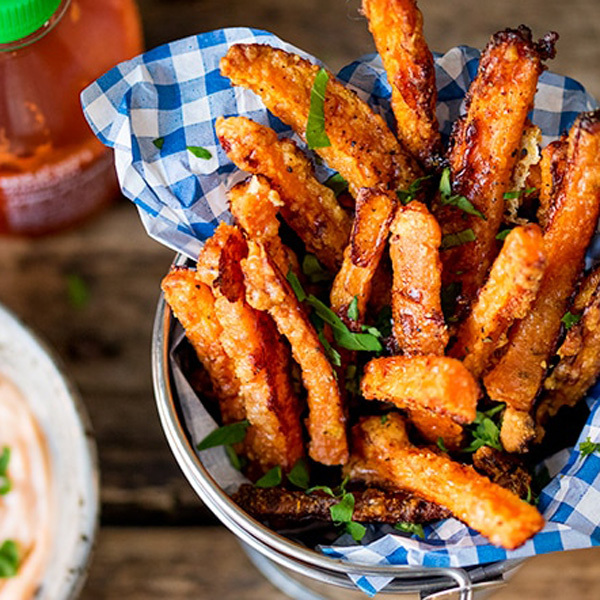 Pair some these Baked Parmesan Carrot Fries from Kitchen Sanctuary. 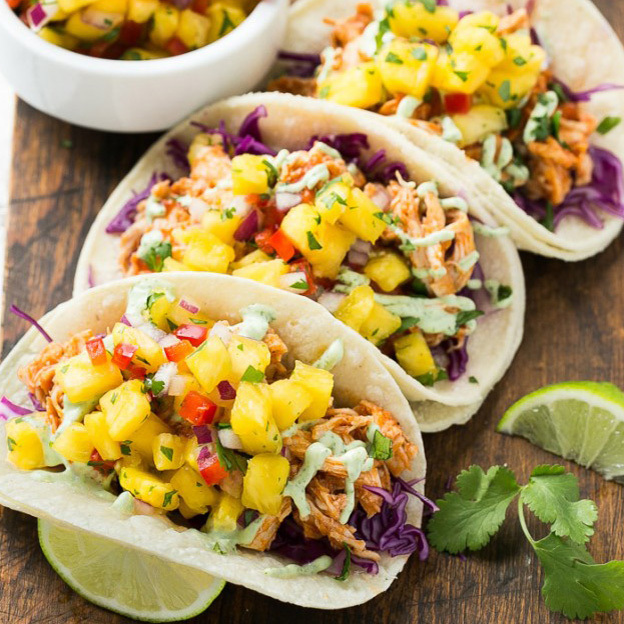 Dinner at the Zoo offers these beautiful Pulled Chicken Tacos with Pineapple Salsa as a healthy taco option. And what is game day without pizza? Katya at Little Broken shares this gorgeous Artichoke, Tomato and Spinach Flatbread alternative. 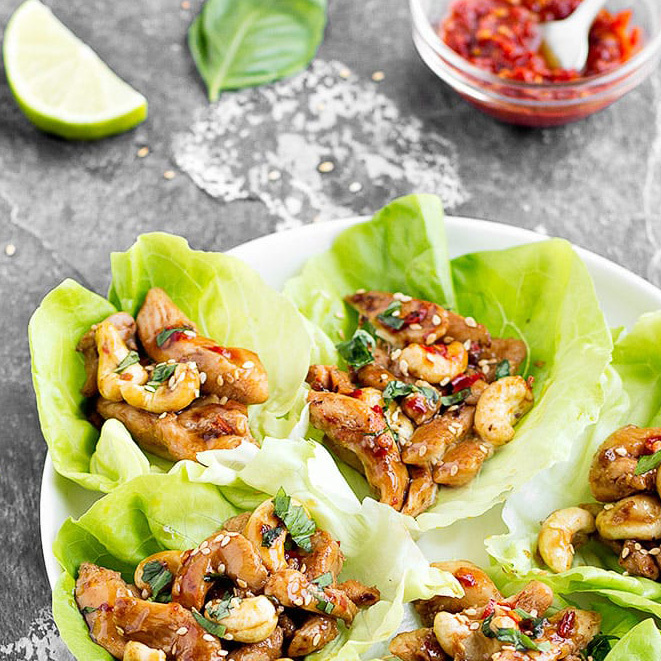 Elena from As Easy As Apple Pie has crafted a fresh and beautiful Cashew Chicken Lettuce Wrap that is sure to wow the crowds! 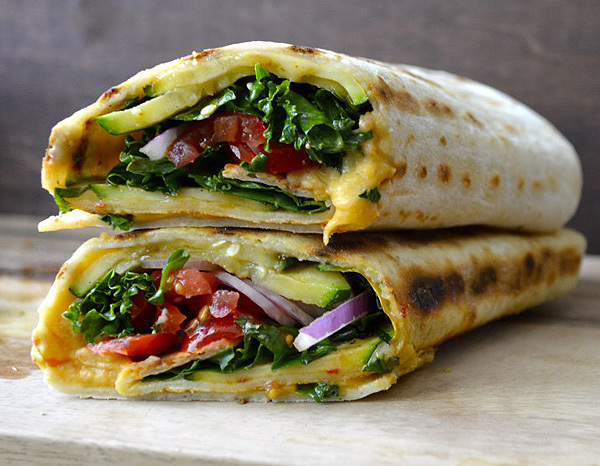 Maebells Grilled Zucchini Hummus Wrap is as colorful as it is flavorful. And you can't have a Game Day menu without something sweet . . . I doubt anyone will even catch on that these Banana Split Bites are such a healthy alternative to the real deal! Plus they are perfect to make ahead! Elizabeth from Liz Love Food gives you the details. 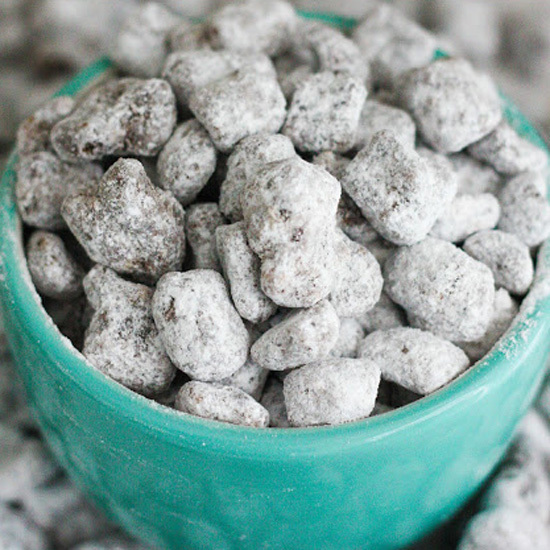 An easy "snackable" dessert called Skinny Muddy Buddies is made lighter by Alyssa at The Recipe Critic. If you need chocolate for it to be a real dessert, then you have to check out these low fat brownies from 12Tomatoes that sneak in greek yogurt to create a luscious, moist texture! Perhaps I saved the best for last? I can think of nothing more heavenly than cheesecake with strawberries . . . and low cal? Can you hear the bells? SkinnyPoints offers this Cheesecake Stuffed Strawberries recipe.